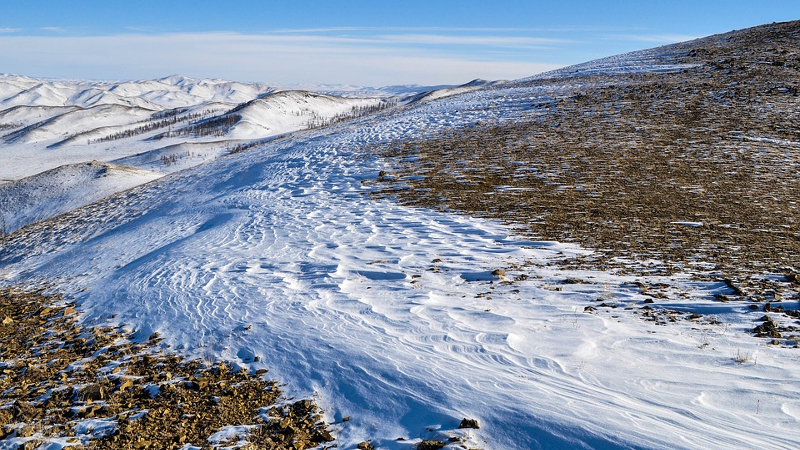 AKIPRESS.COM - Mongolia is bracing for its coldest winter in ten years. Above average snowfall already covers much of the country and an estimated 70% of the territory is expecting a harsh winter, reports news.mn. The Research Institute for Hydrology and Meteorology of Mongolia has issued a 'Dzud' alert in 110 soums (districts) of 13 provinces. 'Djud' (sometimes written 'zud') is the Mongolian word given to unusually harsh winter conditions which can devastate the herds of animals upon which the large nomadic population depends. There are different types of 'dzud'; in this case, the deep snow makes it difficult for the animals to eat. A particularly bad dzud, such as this year’s, is expected to wipe out large numbers of livestock - possibly millions of animals - has prompted the Mongolian Government to seek assistance from abroad. Deputy Prime Minister U.Khurelsukh, currently leading the National Emergency Commission met with humanitarian donor organizations last week.